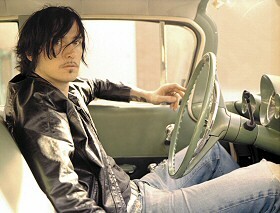 Georgia-born singer/songwriter/producer Butch Walker is no stranger to the music business – he’s been performing in bands and as a solo artist since the late 80s. While you may not have heard any of his solo music, chances are you’ve heard something he’s written or produced for other musicians on the radio. Walker has penned and produced monster hits for Avril Lavigne, P!nk, Taylor Swift, Katy Perry and Fall Out Boy, however the songs he records for himself are drastically different than the pop anthems he’s most famous for. Fans of lyric driven rock and roll, infused with bits and pieces of folk, country and pop, should definitely check out this incredible artist and performer. Albums: Left of Self Centered, Letters, The Rise and Fall of Butch Walker and the Let’s Go Out Tonites, Sycamore Meadows, I Liked It Better When You Had No Heart, The Spade. 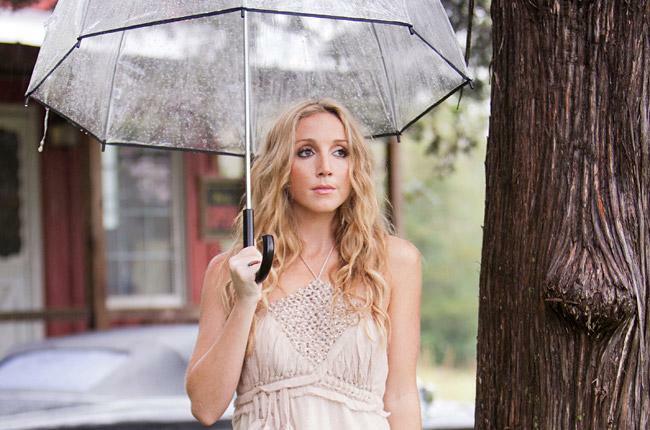 In 2007, Ashley Monroe had a modest Country hit with Ronnie Dunn called I Don’t Want To. When her follow-up single failed to chart, she became the victim of record label politics and her debut album, Satisfied, was shelved. Monroe parted ways with her label the next year. Satisfied eventually saw the light of day – two years after leaving Sony Music, it was released as a digital download, mysteriously without the lead single that helped her chart to begin with. Since then, Monroe has been writing hits for Carrie Underwood and Jason Aldean and she’s also one-third of the all girl Country group Pistol Annies. Ashley signed with Warner Nashville and will release her second album in both digital download and CD format on March 5th. Monroe has a beautiful, classic country voice and writes some truly heart-wrenching songs. Fans of Alison Krauss and Miranda Lambert will enjoy her musical stylings. 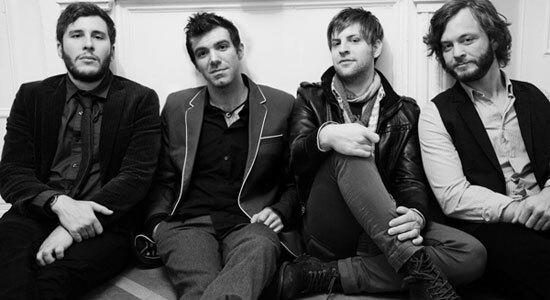 Massachusetts based Americana-rock band Stephen Kellogg and the Sixers have danced around mainstream success for quite some time, but never seem to really catch that big break in the music business. Their 2009 album, The Bear, cracked the Billboard Top 10 Heatseakers chart and was the #1 album in the Northeast region for a time. Known for their high energy shows, the SK6ERS (as their fans fondly refer to them) infuse an eclectic mix of instruments, including a tuba, accordion, mandolin, and harmonica into their roots-based blend of rock and roll. Fans of early Bob Dylan, Mumford and Sons and Mat Kearney will dig their tunes. SK6ERS are currently on hiatus, which is really quite a shame but Stephen Kellogg is still writing and playing his solo material for fans and hopes to release an album of new material in the Spring of 2013. 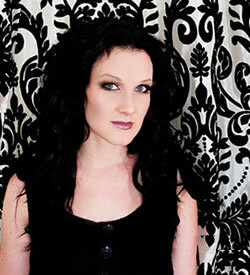 After performing for years in a band, Tiffany Arbuckle Lee (aka Plumb), nearly quit the music business. Then a fan who had been sexually abused wrote her a letter about how her song Damaged had changed her life. The note inspired Lee to remain in the music industry and continue writing songs people could connect to. Many of her songs have strong spiritual overtones, but aren’t exactly classified at “Christian” music. Plumb’s musical style ranges from dance pop to alternative rock and in 2007 she recorded a lullaby album after giving birth to her second child. Like so many other artists on this list, Plumb has written a handful of hits for other musicians that you may have heard on the radio: Everywhere by Michelle Branch and I Wanna Be With You by Mandy Moore, just to name a couple. Fans of Evanescence, Paramore and Garbage will definitely be in to her sound. Her sixth studio album releases Feb. 26th. At the age of 8, Jessica Harp began writing songs. At 13, she picked up a guitar and learned to play. By the time she was 20, she’d already released an independent album of country flavored pop songs. Somewhere along the line, she met and formed a friendship with Michelle Branch, who took her out on the road as a back-up singer. Eventually, the two formed a country band called The Wreckers and had a #1 hit called Leave The Pieces. After the success of the record, both girls decided to take a hiatus from the band and work on solo projects. Country mega stars Vince Gill and Keith Urban signed up to work with Jessica on her solo album – all the right elements for a big hit. Then the record label refused to promote it. A Woman Needs, her second single, barely charted. Frustrated over years of being snubbed in Nashville, Harp decided to walk away from music for good. As of 2013, Harp is writing again and keeping in touch with her fans via her Twitter page. New music is hopefully on the horizon from a promising country act that never should have had her spirit broken by her record label in the first place.